The MK lenses offer advanced edge-to-edge optical performance and low distortion. They are designed with integrated colour temperature with other Fujinon Cine lenses in the HK / ZK / XK series to simplify colour grading that is required when using a combination of multiple lenses. They have T2.9 speed across the entire zoom range which facilitates the increasingly popular style of bokeh effect with shallow depth-of-field. This also eliminates the need to re-adjust lighting, thereby contributing to shortening shooting time. The MK series is specifically designed for E-mount cameras with Super 35mm / APS-C sensor, and X Mount (for APS-C sensor) used in Fujifilm’s X Series of mirrorless digital cameras. They achieve advanced optical performance despite their compact and lightweight body by incorporating the benefits of short flange focal distance into optical design to the maximum extent. This accommodates shooting with a limited number of people. 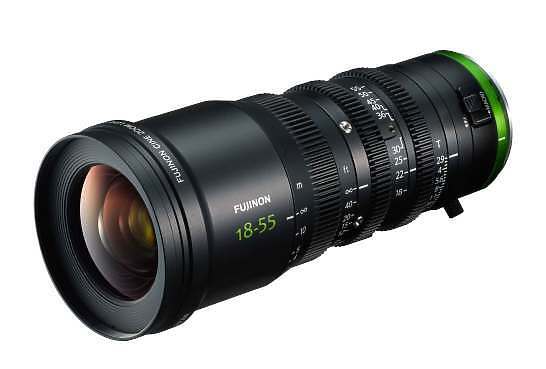 Hire the Fujinon MK 18-55mm T2.9 from Procam. Best service and rental rates for the Fujinon MK 18-55mm T2.9 and all cameras, lenses, sound, lighting and grip.